Fit For Life can offer a wide range of on- site therapies that will energise your staff. Therapy induces a sense of calmness, tranquility and releases anxieties. It focuses on the upper body, back, shoulders and neck, the area’s most vulnerable to stress and tension. It is a wonderful and beneficial therapy for de-stressing the whole body. 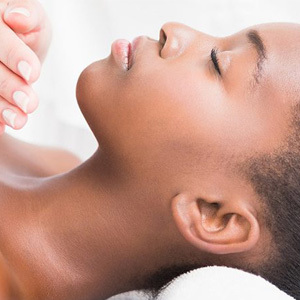 is a non-invasive, complementary therapy that deals with the principle that there are reflexes in the feet and hands that relate to each gland, organ and part the body. Stimulating these reflexes properly encourages correct energy flow and can therefore help the body return to its natural state of good health. Benefits include reduced stress, deep relaxation, improved circulation, cleanses the body of toxins and impurities, revitalizes energy and is preventative health care. seeks to restore order to the body whose vital energy has become unbalanced. Reiki energy has several basic effects: it brings about deep relaxation, destroys energy blockages, detoxifies the system, provides new vitality in the form of healing universal life energy, and increases the vibrational frequency of the body. is a modern interpretation of an ancient Japanese physical therapy which originated more than 5,000 years ago in the Far East. Its fundamental principle is that good health is based on balance within the body, in the mind, in what we eat and drink, in how we use our energy and in our interaction with the world around us. It is effective in treating a very wide range of physical conditions. is a hands-on approach using palpatory skills for the safe and effective treatment of joint and muscle problems. It involves a combination of manual techniques, including deep massage, joint movement and gentle stretching, which are applied in accordance with current health principles. involves the application of a variety of specific, hands-on, massage based techniques through therapeutic touch. Its role in injury prevention is as important as its role in injury management. massage sessions and 30 minutes for reflexology, Reiki and Amatsu. the host company. A full description of treatments will be provided upon request.